I’m about 23 weeks and doing great!Our little bean is quite active. (S)he is moving around all the time, exercising her/his little muscles. Aaron can easily feel movement every evening and morning. Here is photo since I haven’t posted one in awhile. This is what I wear when I am pretending to be a grown up. Hee, hee. 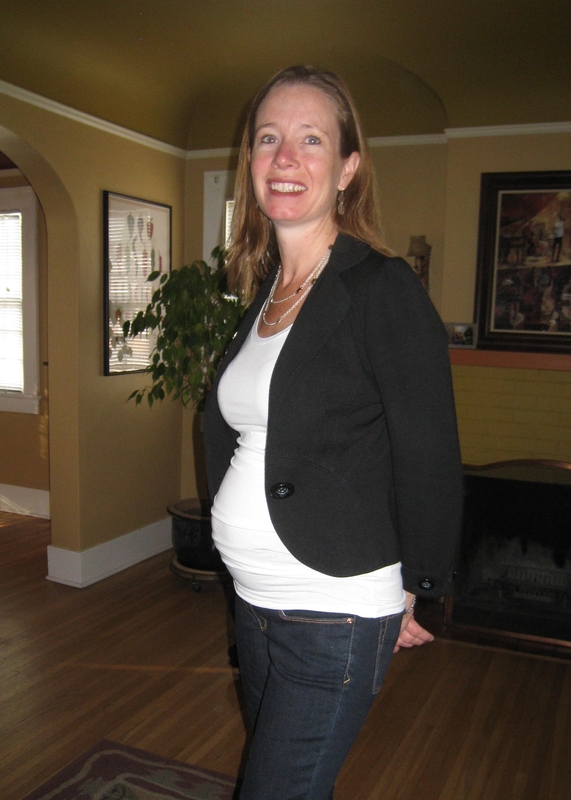 Well, ok, the maternity jeans are a new addition but you get the idea. This entry was posted in Pregnant Mama Status. Bookmark the permalink.